The Sun is a dynamic, powerful source of energy—it’s the most abundant renewable resource available on Earth. Modern technology can harness this energy for a variety of uses, including generating electricity. 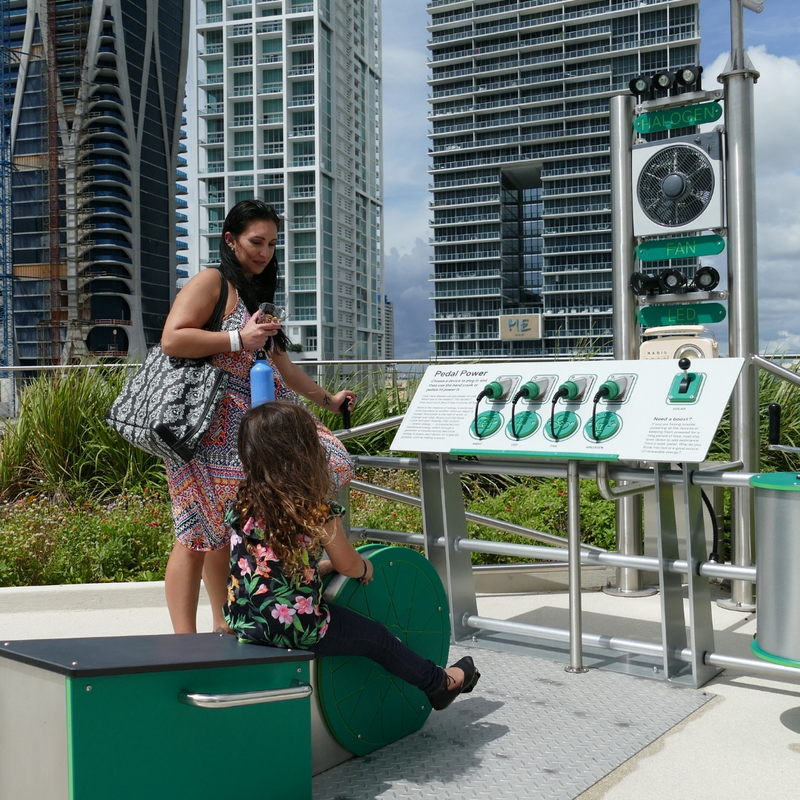 The Sun Spot permanent exhibition on the Florida Power & Light Company Solar Terrace, located on the museum’s sixth floor rooftop, explores the power of the Sun as a renewable source of energy through several interactive solar-powered activities. In Pedal Power, begin by feeling the power it takes to energize everyday objects with an outdoor bike or hand crank; then, work as a team to try and power all four objects. Afterwards, discover the science and engineering behind how solar panels work in Solar Gears by changing the position of a solar panel to make gears spin. Continue by exploring the dynamic nature of the Sun. View it safely with a Sunspotter and learn how you can use the Sun to tell time with a human-sized sundial. 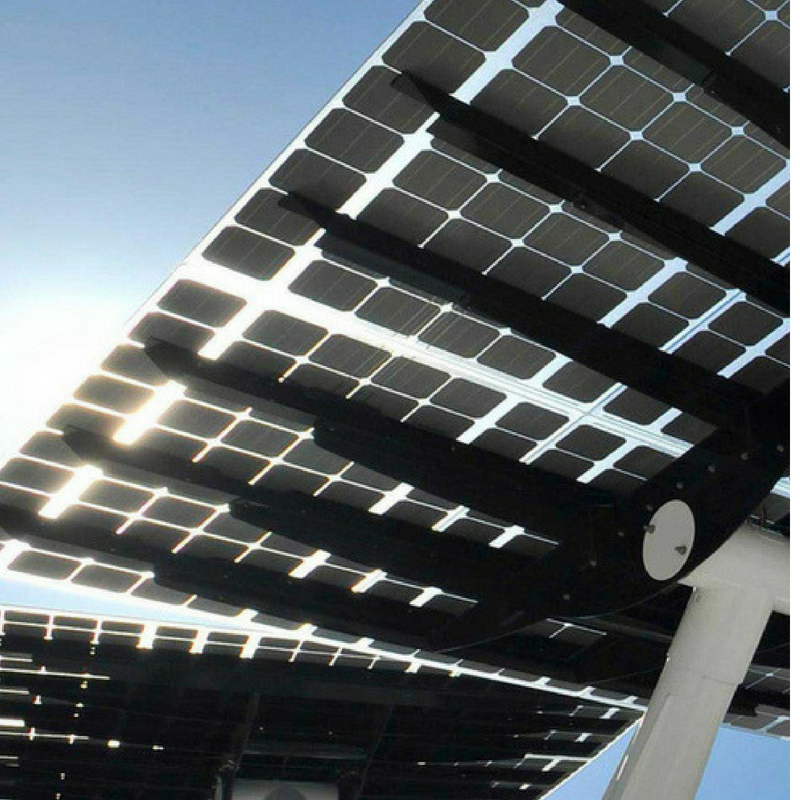 Then, put on your engineering hat and investigate how different forms of renewable energy are put into everyday use and discover how innovative battery technology may be one of the solutions to the future of clean energy. 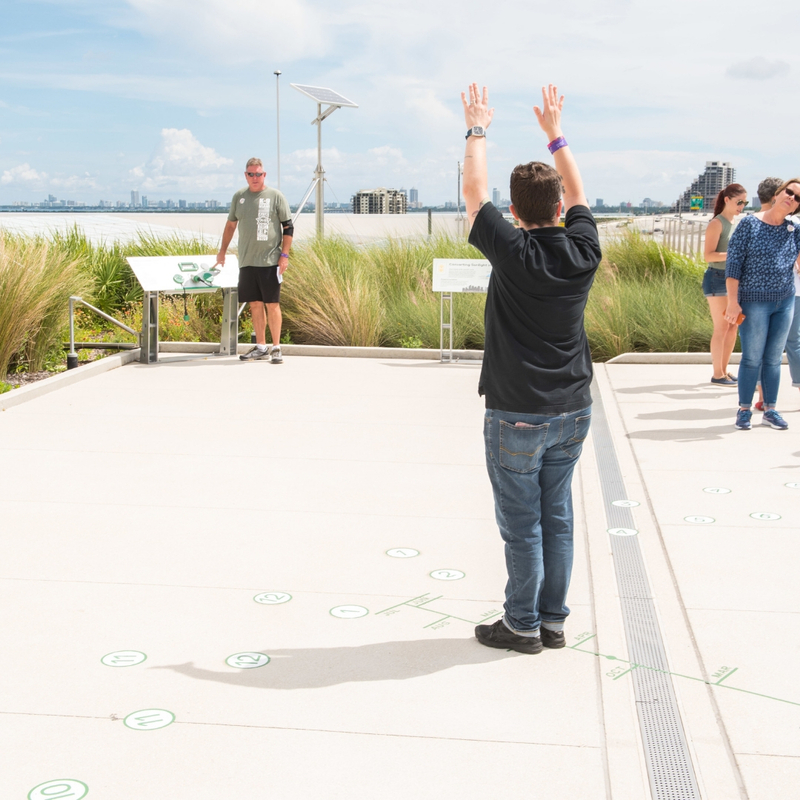 The Sun Spot is located on the Florida Power & Light Company Solar Terrace on the sixth floor rooftop terrace. This exhibition is supported by Florida Power & Light Company. The photovoltaic effect was first discovered in 1839 by Alexandre Edmond Becquerel.